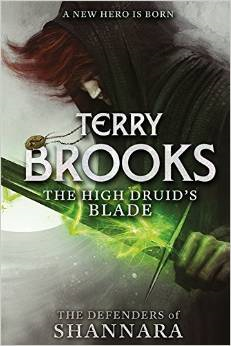 The High Druid’s Blade: The Defenders of Shannara by Terry Brooks is available to purchase now as paperback, hardcover and ebook. I’d like to thank the publishers for an arc of this novel in return for an honest review. I’d also like to thank Mr Kraftireader for his help with reading and reviewing this novel. I must admit this is the first fantasy fiction book I’ve read in a long time but after reading the synopsis I was interested and I soon got into the storyline and enjoyed this new genre and new author for me. Its good to open your eyes to new genres and especially new authors. The book had heroes and villains, heroes such as Paxon Leah who came from an old line of forgotten Royals. Villains such as Arcannen, an evil twisted person that would do anything to get what he wanted. The story is about sacrifice and taking risks, giving your all to overcome the odds that are put in front of you. The storyline and characters were great and it took only a few chapters to get me hooked into wanting to read more. The favourite character for me was Paxon, not just because of his heroes status, but because his beliefs, honour, family loyalty and what he is willing to risk to uphold what he holds sacred. I will honestly say that I would be happy to pick up more of Terry Brooks books off the shelf and read and review them. I thoroughly recommend this author and this novel. 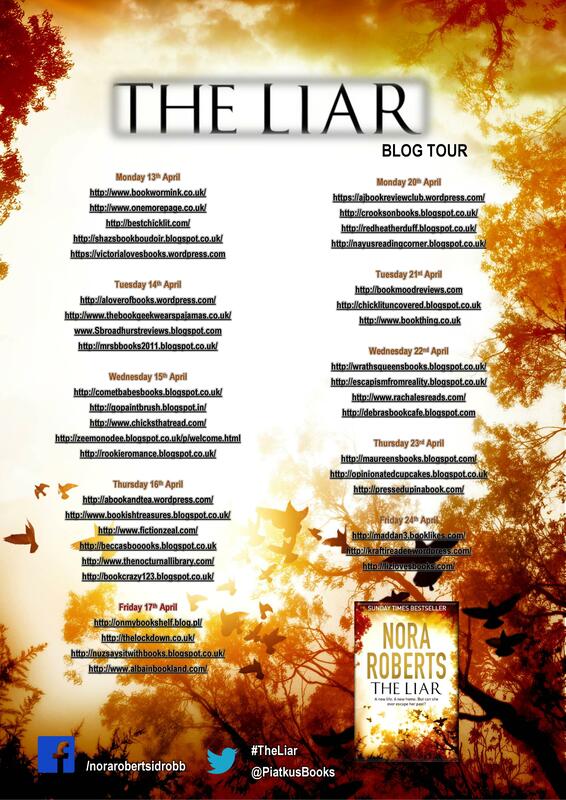 I am pleased to be involved in the blogtour for the UK publication of The Liar by Nora Roberts. I’d like to thank the publishers for an arc of this novel in return for an honest review. The Liar is out now in hardcover, ebook and audio download. Heart-broken but unbowed, Shelby is determined to fix her problems – if only for the sake of her gorgeous little daughter Callie. Returning home to Tennessee and the family she thought she’d lost for ever, she discovers a new sense of strength and freedom. And hope, too, in the handsome form of carpenter Griffin Lott – a straight-dealing man who couldn’t lie to her if he tried. But not everyone is thrilled to see Shelby Pomeroy back in town. And when a shocking act of violence is traced back to Richard’s shady business, it becomes clear that she is not safe from him, even in death. With her life in danger, Shelby must face the lies of the past – or lose everything. This is the first book by Nora Roberts that I’ve had the pleasure to read. 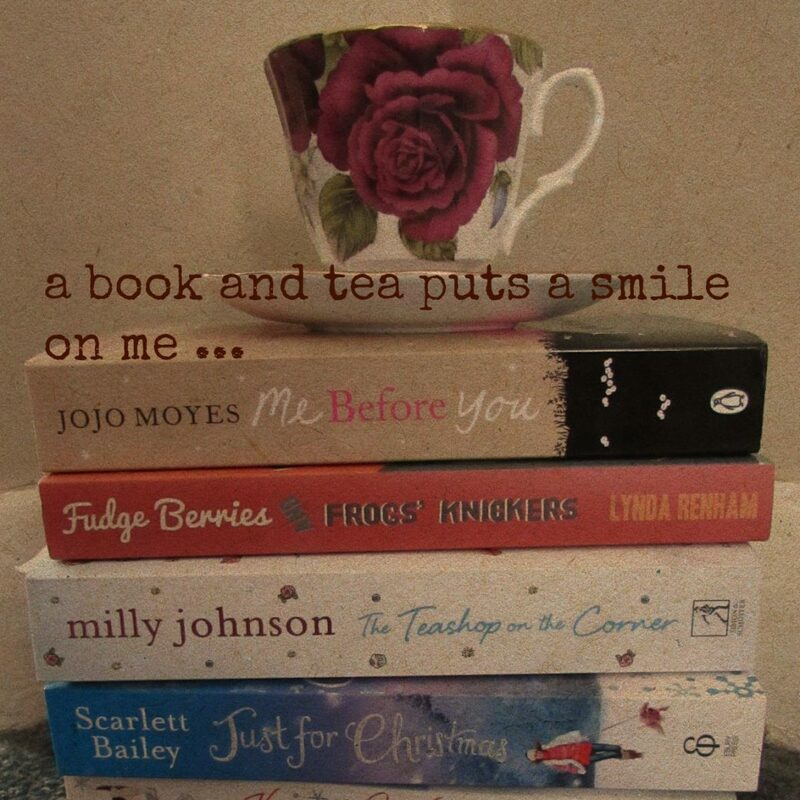 I know, where have I been, Nora Roberts is the bestselling author of over 200 books?! 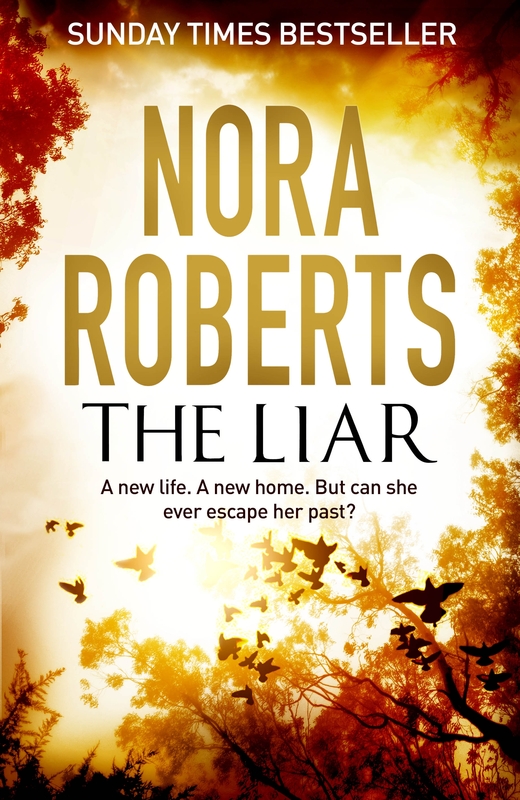 How can an author pack so much in a book … Nora Roberts knows how. This book was exciting, dramatic, full of twists and turns. It had romance and some wonderful heart warming moments. I loved how the storyline showed how you can gain strength from adversity and learn to survive battles one step at a time. 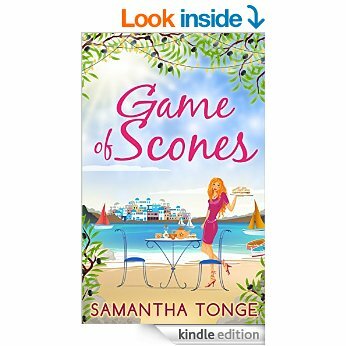 Shelby’s life had certainly been turned upside down when she was flattered by a charming, wealthy man. This charming man however, wasn’t what he portrayed to be. After the untimely and shocking death of her husband Shelby returns to her hometown in Tennessee to rebuild her life and her relationship with her family and old friends, who she abandoned four years ago after being seduced by the charming Richard. Shelby is shocked many times by what secrets are unearthed regarding Richard. She becomes fearful for her daughter’s and her own life. 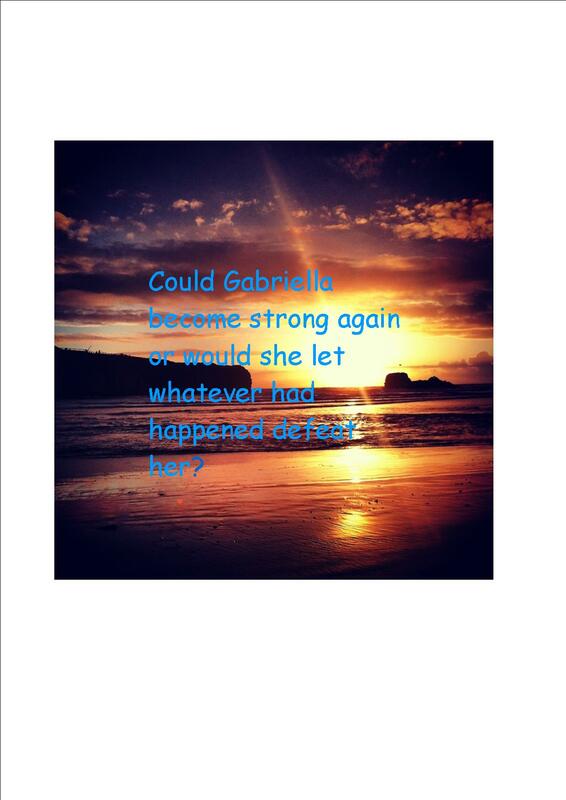 Can she escape the past for good? In between all this drama a friendship from a handsome stranger blossoms for Shelby. Can she learn to trust her feelings for Griff and let love in? 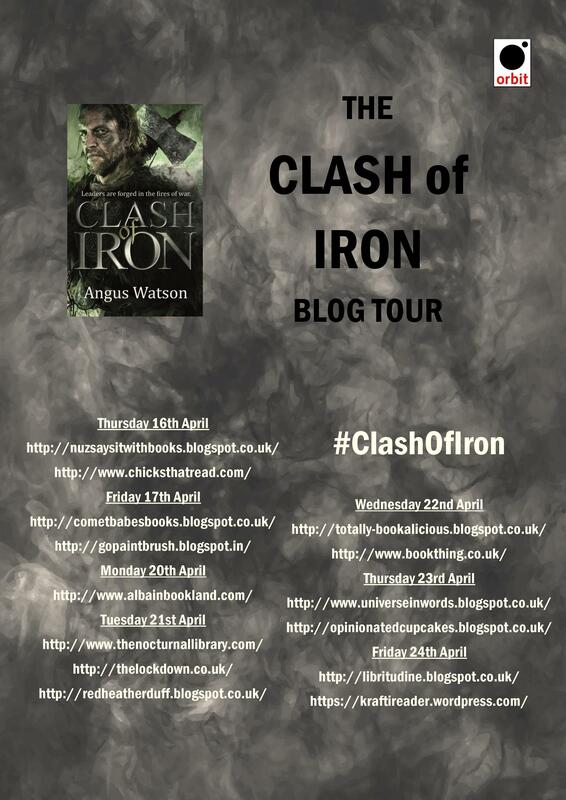 I am pleased to be involved in the blogtour of Angus Watson’s second book in the Iron Age trilogy. 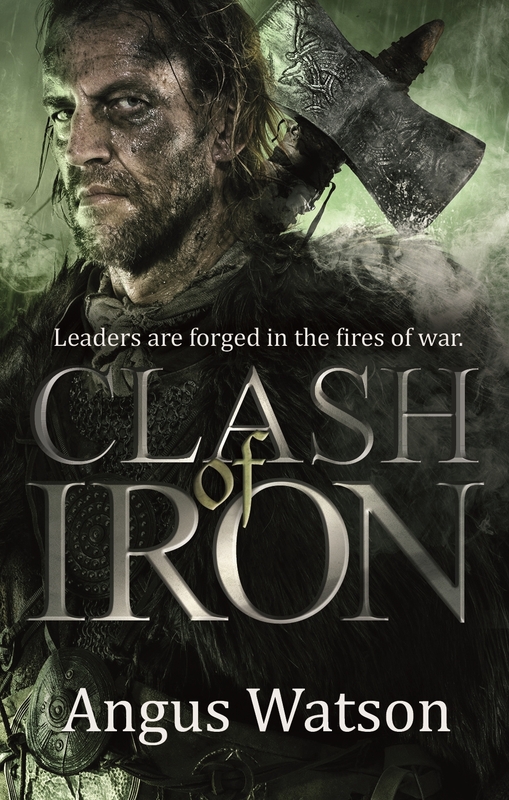 Clash of Irons is the second instalment and is available now in paperback, ebook and audio download. I’d like to thank the publishers for an arc of this novel in return for an honest review. Once again Mr Kraftireader has helped me with this review. 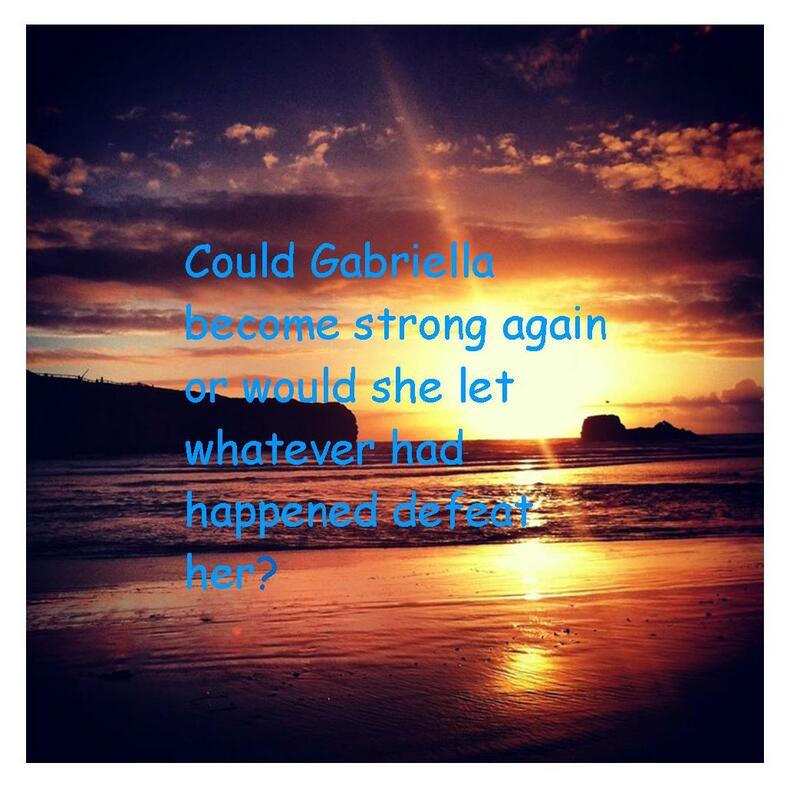 An epic tale of lost love, betrayal, hatred, revenge and retribution. All the favourite characters are back in the second book of the trilogy. Lowe now the Warrior Queen of Maidun hoped to live a quiet existence, but finds that this is impossible with the fractured tribes of Britain. Dug and Spring are back, hoping to live life in the slow lane. However, within the first few chapters the book sets out what is to come, with epic battles, individual heroism and bouts of total stupidity. The first book Age of Iron was a great read and this one follows on in the same way. I loved the characters Lowe, Dug and Spring and how their story continues on, from the first meeting to several years later. Lowe is my favourite character, the Queen is intelligent, brave and can fire a bow better than Robin Hood! The druid Felix is back and up to no good, he is my second favourite character. The power he holds over others, his ruthless nature and his use of magic is spellbinding. You can’t help but to despise him because of his lack of honour and feelings for others. I loved reading Clash of Iron, part two of the trilogy, it had me hooked yet again, from the first battle to the heartrending end! I was shocked with the turn of events and I am intrigued of the how the trilogy will manifest. If you have enjoyed reading Simon Scarrow’s legion series you will appreciate and devour this new trilogy that Angus Watson has brought us. Highly recommended 5/5* read. 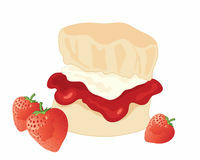 A Cornish Stranger by Liz Fenwick is currently available as an ebook but is due to be published in paperback on the 23rd April 2015. Liz Fenwick is the bestselling author of The Cornish House and A Cornish Affair. 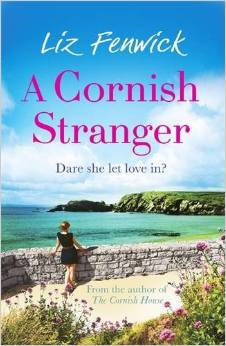 A Cornish Stranger is her third novel based around one of her favourite places in the world, Cornwall. I’d like to thank the publishers and netgalley for an ecopy of the book in return for an honest review. This is the first book by Liz Fenwick that I’ve had the privilege to read and Liz has now gone straight onto my favourite authors list. 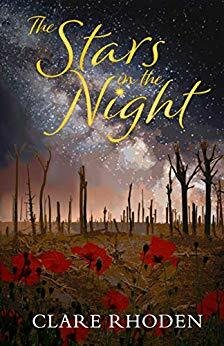 A fantastic story filled with wartime saga, lost loves and secrets that could change what lies ahead.